If you’re interested in the area of communications and want to remain self-employed, you can consider a lucrative career as a communications consultant. Communications consultants are invaluable to many industries and need to have a strong understanding of marketing and communications techniques. A communications consultant is a type of marketing and media analyst that is called in to help a company with its branding and image. Communication consultants are closely related to the fields of public relations and marketing. Companies will usually call in a communications consultant either on a regular basis to ensure their communications are going smoothly or when they need to work on their communications for a specific reason, such as the launching of a new campaign. Communications consultants will usually be provided with a company’s documents and look through their communications to ensure that the company is projecting the correct image to their clients. A communications consultant can advance through building their client list and obtaining larger and more profitable clients. The consultant will usually work very closely with the marketing team and PR team to ensure that there is a comprehensive strategy in place for the company. Communications consultants usually work on a contact basis but many of them develop long-lasting relationships with the companies they work for. Communications consultants are often considered a form of public relations specialist, which is a field that has been noted by O*Net Online to have very fast growth. The communications consultant will usually begin by discussing the company’s needs. Communications consultants usually won’t develop marketing or advertising campaigns for the company themselves, as this is usually handled by the marketing team. Instead, the communication consultant’s job is to determine whether everything is working as it is intended and whether there are things the company could be doing to increase the overall impact of their brand. Depending on the project that is being tackled, the communications consultant may work directly with the PR team, the marketing team or may report directly to a CEO or other higher level management. Communications consultants usually have a significant amount of freedom in their work as they are highly educated and experienced professionals within the industry. The role of a communications consultant is very similar to the role of a financial auditor, in that they will identify areas that can be improved and specify how these areas should be improved. How Do You Become a Communications Consultant? Becoming a communications consultant usually begins with obtaining either a Bachelor’s Degree or Master’s Degree in Communications. As a self-employed contractor, a communications consultant is usually served best by having a high level of education. Communications consultants usually have at least five years of experience within the consulting and communications industry. Consultants can become certified or registered through associations such as the Association of Professional Communication Consultants to increase their reputation. Communications consultants may start out as traditional communications managers and built a reputation and client base within the industry. Other communications consultants may begin as PR consultants or sales and marketing consultants and diversify into the field of communications. Overall, however, a communications consultant is required to have both education and experience to succeed. How Do You Advance as a Communications Consultant? A communications consultant can advance through building their client list and obtaining larger and more profitable clients. This is usually done through networking. Communications consultants that intend to grow their business may need to take part in seminars, events and other career-building activities that can connect them to potential leads for clients. A consultant may also need to market themselves and their services in much the way they would help in marketing a company. 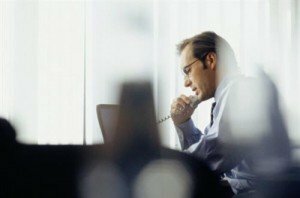 Consultants that have a solid reputation may also develop a following through word-of-mouth.